This is one of Kate's Faves! Enjoy Multi Clean for $10.36 (regularly $12.95) until April 25th. Remove dirt and grease with the grime-fighting power of peppermint, lavender and rosemary essential oils. 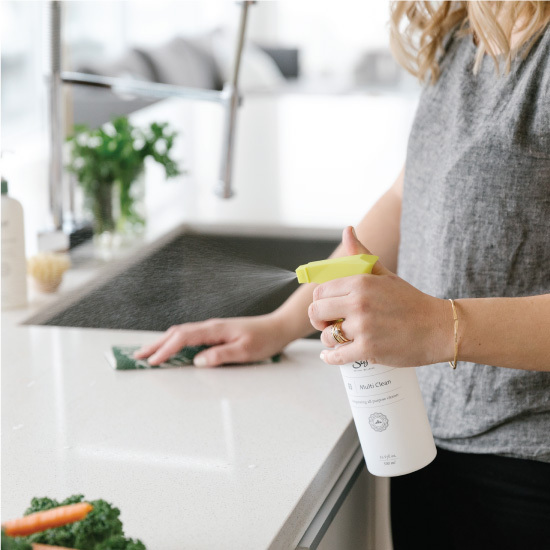 This multi-surface cleaner will freshen and deodorize kitchen counters, sinks, cupboards and more. Hold 6-8 inches from surfaces and spritz 2-3 times onto desired area. Wipe away dirt and grime with a clean cloth. Avoid using on marble, granite, wood or stainless steel. If an allergic reaction occurs, call a health care practitioner. Do not ingest, if ingested call poison control. Avoid contact with eyes and mucous membranes. If contact occurs, rinse with water. Floral and sweet; deodorizing and cleansing. Renewing and stimulating; a natural refresher. Woodsy and invigorating; deodorizing and cleansing. Caprylyl/Capryl glucoside is non-toxic, biodegradable and made from renewable raw materials: fatty alcohol and glucose from coconut, palm kernel oil and vegetable sugars. It works to remove dirt from household items and surfaces, particularly in kitchens and bathrooms. Spritz on your kitchen counters, sinks and cupboards before wiping away grease and grime with our Tidy Trio Cloths. 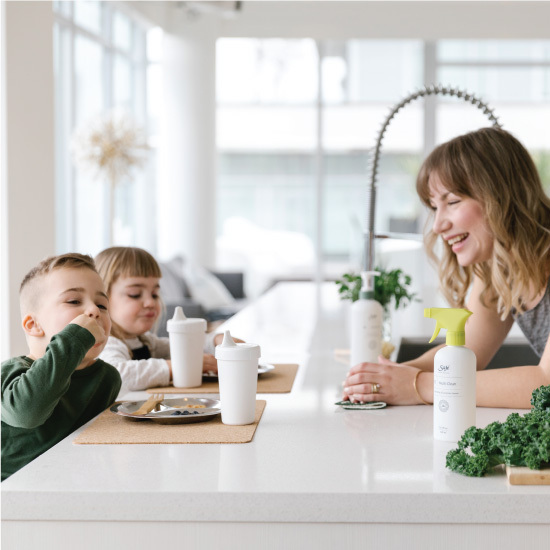 Use to clean up spills and remove stains caused by daily living, your little one’s sticky fingers and your furry friend’s outdoor adventures. Every ingredient we use is clearly listed — no synthetics, no fillers: just nature. 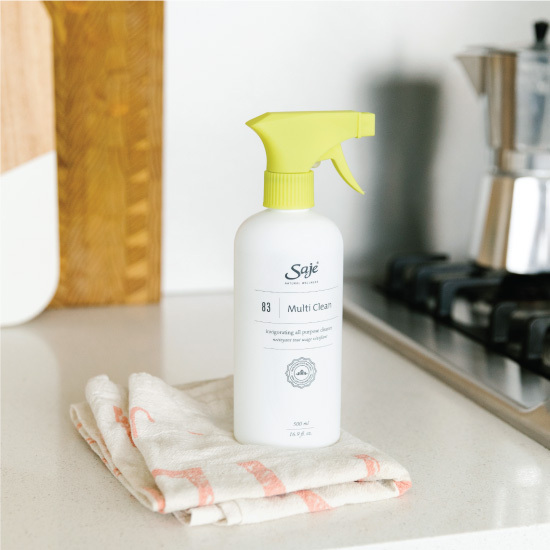 Our cleaning products are non-toxic and free of ammonia, chlorine bleach, phthalates and artificial fragrances. Using only 100% natural and eco-friendly options means you can breathe easy knowing your home is now as clean as your conscience.